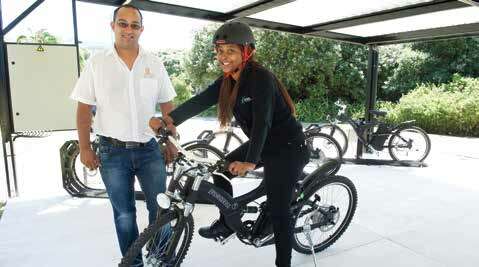 Engineering alumnus Hiten Parmar (left), Deputy Director of the national uYilo eMobility Programme, based at NMMU, gives mechatronics student intern Unathi Mabi a demonstration on how to use the new shared fleet of solarcharged electric bikes at NMMU. Ten e-bikes, all part of a shared fleet, have been launched as part of this unique green transport pilot project and is a first for a South African university. The shared e-bikes can be collected and dropped off at custom-designed docking stations on two campuses. Each bike, which weighs about 35kg and can reach a top speed of 25km/h, has an on-board tracking unit for data capturing. uYilo will be monitoring usage to test effectiveness of the pilot project which runs until December 2016. WHEN Heinrich Williams crosses the stage this graduation, his companion and study buddy Viking, donned in full graduation attire, will as usual be right by his side. Viking, the four-year old Golden Retriever mix, attended all Heinrich’s lectures and exams as a service dog, assisting Heinrich in achieving his NDip Industrial Engineering. Sadly, Heinrich was not always paralysed and has learnt to adapt to life in a wheelchair. In 2010, while working as a process engineer in China, Heinrich contracted a bacterial infection which resulted in an abscess pressing up against his spinal cord. The pressure damaged his spinal cord and left him paralysed from the neck down, a C6 quadriplegic. Heinrich is a qualified aircraft electrician and spent 12 years working for the air force. Viking is trained to open and close doors, pick up objects, assist Heinrich with getting dressed, alert somebody if Heinrich is in need and he can even press the panic button for the alarm. Heinrich is also supported by his wife who is the sole breadwinner and caregiver. Heinrich is currently completing his BTech in Industrial Engineering. Former Madibaz rugby player Enrico Acker 25, combined his love for rugby and interest in financial management to complete his MCom in Business Management. In his thesis titled: The personal financial management attitudes and practices of South African rugby players, he worked closely with rugby players to find out what their views are towards financial planning. Enrico completed his masters while studying and playing rugby for both NMMU and the EP Kings in a full-time capacity. Graduates Emma (left) and Hannah Minkley will be graduating at the same ceremony this year. Emma 28, completed an MTech in Fine Art (painting) while Hannah 25, receives her MTech in Photography. Emma works part-time as a tutor in NMMU’s Art Department and Hannah is currently self-employed. 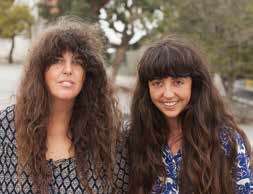 The sisters accredit their parents Gary and Cheryl for influencing their artistic career paths and were encouraged to have a creative and unconventional outlook on life. Against all the odds mother and daughter Tandiswa and Anda Ngxukumeshe (left) are looking forward to celebrating their graduation together this year. Tandiswa 45, a lecturer in NMMU’s Business and Economics Sciences Faculty completed her PhD in Business Management while daughter Anda Ngxukumeshe 21, receives her BSc in Construction Economics. The pair were challenged when losing four immediate family members in the space of two years just six months apart. They are both continuing their studies this year- Tandiswa is completing a degree in Theology and Anda an honours in Quantity Surveying. 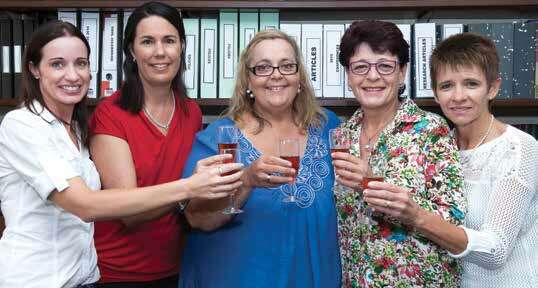 Prof Miemie Struwig (centre) was the sole supervisor to four female graduates (from left)PhD Business Management graduates Amanda van den Berg and Heidi Janse van Rensburg, both lecturers at NMMU. Kwezi Lomso High School Tourism teacher, Erika Ferreira, and Vice-Principal at DF Malherbe Penny Vosloo are the first MPhil Tourism Management graduates at NMMU. They all started together and completed their qualifications in the minimal required time. “These women are all educators and education is very dear to my heart – I am very proud to have empowered them to make a difference by empowering those they will teach. I am nearing the end of my career and this is a great way to end a legacy,“ said Prof Struwig. NMMU’s first completely blind graduate Xolisa Yekani, 37, is hoping other blind students will be inspired to follow his example after completing his BA honours degree in Journalism during April. Yekani the first to graduate in his family, was not always blind but lost his sight at the age of eight while playing along the riverside with friends in a village called Dutwya in the Eastern Cape. . It was later revealed that he had lost his sigh due to his untreated cataracts which caused his corneas to be permanently damaged. Yekani is the current affairs producer for the SABC’s isiXhosa radio station Umhlobo Wenene, in Port Elizabeth and also the chairperson of the Nkosinathi Foundation of and for Blind and Partially-Sighted People. TWO PhDs in any one family, completing the same degree, at the same time – while both managing full-time jobs at the same institution. Zimbabwean married couple and parents of four, Canisius and Ennie Manyumwa, who have each spent 34 years as educators, received their PhDs in Education from NMMU. Both teachers by profession, Ennie, 56, spent 23 years teaching at three primary and two high schools, then two years lecturing at a teacher education college. Her husband spent 11 years in three high school teaching posts, then 12 years as a college lecturer. 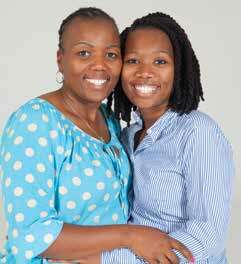 They now both work at Midlands State University in Gweru. The pair selected NMMU, based on the institution’s website, and the “very inspiring accounts” of colleagues who had studied there before them, completed their degrees in three years. NMMU Biokinetics intern and master’s in Human Movement Science student, Edgar Katushabe, has won the South African Raw Powerlifting Championships in the Junior u120kg division recently! Well done Edgar – your consistent excellence makes us proud! Three state-of-the-art lecture theatres including a plush circular 250-seater auditorium - have opened for science students at NMMU. The three venues, which collectively seat 420 student, make up the ground floor of NMMU's new R56-million science building on the south campus. MCom Business Management graduate and NMMU's infrastructure projects director Greg Ducie said "The building is part of new university infrastucture worth more than R200-million that has been in the process of being developed over the past couple of years." In efforts to provide students with the best technological opportunities, NMMU has opened a new 24 hour laboratory on its Bird Street Campus. NMMU's chief information officer and head of the institution's ITC department Dr Sam Bosire, who graduated with his doctorate from NMMU in 2014 said the computer labs, with 43 computers and internet access, would benefit an increasing number of students living in the Central area. As part of the launch held at Felsted Building on NMMU's Bird Street Campus, 250 tablets were handed over to deserving studentsas part of the institutions commitment towards widening accessin an ever-growing technological era. Although two years apart in age siblings and now alumni, Jessica and Jonathan Roux obtained their Bachelor of Commerce (Law) together this year. Both Jessica and Jonathan serve on the executive committee of the International Law Students Association with Jessica being the Secretary and Jonathan running Marketing, PR and Events. Jessica is also an Olympian swimmer and a member of NMMU Nedbank Swimming Club. MADIBAZ Football Sportsman of the Year and master’s student in Chemistry, Cloudius Sagandira played an important role in the team’s success in 2015, leading to them winning the Pefa league title for a second consecutive year. The Madibaz premier side successfully defended their Pefa league crown, while the premier reserve team took home the title in their division for a third consecutive year.